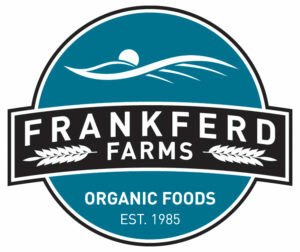 Business Name: Frankferd Farms Foods, Inc.
Frankferd Farms Foods grew out of a desire to work at home with our family to raise and sell organic food. We’re part of a larger family of farmers, processors, distributors, and consumers working together to create an alternative, organic-oriented food system. We believe that by being a part of this ever-growing food system we contribute to the long term, sustainable health of our planet. In the spring of 2011, we decided to install an 11kW solar array at their farm and flour mill. 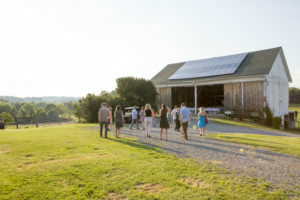 There were a few reasons for this decision: our barn has a perfect south-facing roof, there were time-sensitive financial incentives to be taken advantage of, and we had always wanted to be as energy independent as possible. When we took a look at the numbers, the investment and returns made for a good financial choice. 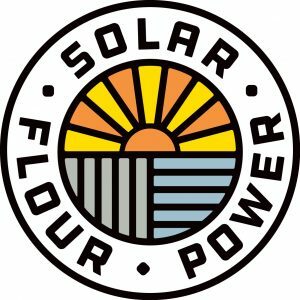 Our solar array now provides us with nearly half of our flour mill, home, and farm’s electrical needs. The flour mill (Frankferd Farms Milling) is possibly the first solar powered mill, and on sunny days, we produce enough electricity to give power back to the grid. After a few months, another solar opportunity arose for us. Our decision to go solar at the farm was proving to be a good one and the deadline for a financial grant was fast approaching, so we decided to install a 16kW solar array on the roof of our food warehouse. 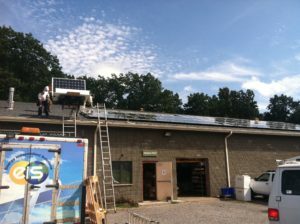 This system went into operation in November of 2011, and solar has provided about 20% of our electrical needs ever since. We’ve always focused on sustainable practices in every aspect of our business. This has allowed us to be more energy independent while giving back to the power grid. Our grid-tied solar array helps when there are potential grid overloads on hot days as the power we create lessens the demand on traditional power sources. Grid tied means that when the grid goes down due to lines down or transformer problems, our system shuts down to assure the safety of the linesmen who will be repairing the problem. The 25 year guaranteed shelf life (with 30 years as potential life) of this array means that we will make a substantial energy impact in our community, which is something that we’re very proud of.